Inside the Gulf – Part 1 – This series of articles will explore several major projects taking place in the Persian Gulf countries. Last October the newly appointed Crown Prince of Saudi Arabia, Muhammad bin Salman, announced the development of Neom, a new mega-city along the Red Sea that would cover an area of over 10,000 square miles and come at a staggering price tag of $500 billion. The announcement of such an ambitious project sent shockwaves throughout the development communities around the world. Only a month after that announcement the young crown prince set off another shockwave that would have an even greater impact within the Kingdom. He initiated an anti-corruption campaign that led to the arrest of some of Saudi Arabia’s most prominent citizens. Several of those arrested in the crackdown included members of the powerful Saudi royal family. In all, hundreds were detained and held inside the luxurious Ritz-Carlton Hotel in Riyadh. Such a dramatic move to reset how business is conducted inside the Kingdom could have lasting implications on future investment. Prince Muhammad’s campaign has been interpreted in two ways. On the surface it is seen as the beginning of efforts to abolish the rampant corruption that has been pervasive in the country for generations, thus improving its reputation among investors in other countries. Conversely, skeptics of the campaign criticize it as a veiled attempt by the young monarch to consolidate his power by reducing the influence of his opposition within the royal family. Regardless of the intention behind the campaign, its results and that of other reforms the crown prince has begun to institute will impact future development within the Kingdom. Neom and other mega development projects that have proceeded it, such as the Economic City initiatives, depend upon increases in foreign investment never before seen in Saudi Arabia. This level of investment will only be possible if the Kingdom is seen as stable and has the confidence of the international investors. A major example of Prince Muhammad’s campaign, is the arrest of Prince Al-Waleed bin Talal. He is Saudi Arabia’s wealthiest citizen, with a fortune estimated at $21 billion. His Kingdom Holding Company has invested in some of the world’s most notable companies including Citigroup, Disney, Amazon and Twitter. Prince Al-Waleed also has investments in some very notable real estate assets, including the Four Seasons Hotel & Resorts, the George V Hotel in Paris and a partial stake in New York’s Plaza Hotel. Kingdom Holding is also the lead investor in the Jeddah Economic City project inside the Kingdom, which is a new mega-project that will cover 2 square miles and cost $20 billion. 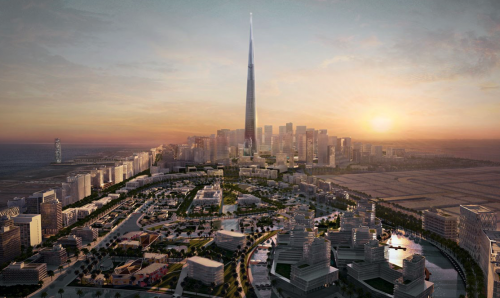 The centerpiece of the project is the Kingdom Tower, which is set to be the first building to exceed 1-kilometer in height, supplanting the Burj Al-Khalifa in Dubia as with the world’s tallest building. Prince Al-Waleed was held in the Ritz-Carlton for nearly 2 months, during which time his assets were frozen. Prior to his release in late January, the prince conducted an interview with Reuters noting his willingness to cooperate with authorities, that his detainment was only a misunderstanding and he has not been charged with crimes. Prince Al-Waleed is not the only investor within the Kingdom to be affected by the crown prince’s purge. Many powerful business people have had to put plans on hold due to the current political instability in the Kingdom. Another example is the Olayan Group, a powerful conglomerate with holdings within and outside of Saudi Arabia that include the Sony Building in New York, investments in Related Companies and a stake in Credit Suisse, a major real estate lender. The company postponed plans for an IPO around the same time that the arrests began. To date the Crown Prince’s ant-corruption campaign has netted $100 billion in assets from many of those detained. No details have emerged as to what those assets are or if they include any real estate holdings. The long-term outcome of the probe will be an indication of the future stability of the Kingdom. In a recent interview with CNBC at the Davos World Economic Forum in Switzerland, Fahd Al-Rasheed, CEO of the King Abdullah Economic City asserted the idea that Saudi Arabia is now “in the business of building cities” as means of economic diversification. If this is the case, Prince Muhammad needs to establish that his country is stable and open for business. If the true goal of the campaign is intended to be a hard crackdown on corruption, reshaping the way business is done, these changes will be revolutionary for a state that is in need of an overhaul. For decades Saudi Arabia has been criticized by outsiders for the amount of corruption in its business environment. Often this criticism is overstated by western media outlets, however the challenges in conducting business in Saudi Arabia have made it less attractive to outside investors compared to other countries in the region. Since Muhammad bin Salman’s ascension to the next in line to the throne, he has gained support from some members of the international investment community who see his bold reforms as necessary for the Kingdom in the 21th century. Sitting down with Bloomberg in October, Stephen Schwarzman, CEO of Blackstone Group, who is a major partner with the Saudi Arabia Public Investment Fund, asserted his support for Prince Muhammad’s vision. Although after the arrests there was a major outflow of foreign funds, more recently there has been an inflow due to increasing oil prices. Prince Muhammad is currently preparing for visits to France, the U.K. and the United States in order to insure investors of the stability of his country and solicit support for various investment projects within the Kingdom. Chief among them is the impending public listing of Saudi Aramco, the state-owned oil company that is expected to the be the largest-ever IPO. Portions of the funds from the IPO, which is expected to exceed $1 trillion, will be used to underwrite many of the ambitious projects that Prince Muhammad has set forth is his “Vision 2030” plan, in which city building will play a key strategic role. 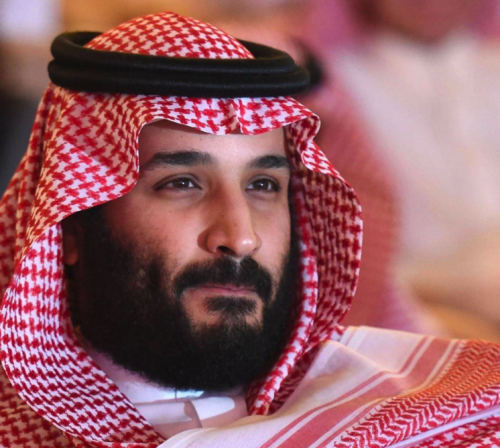 Taking the bold step to clean up the business climate could prove to be a major step in the right direction for the crown prince, making it easier for investors to back the grandiose vision he has for the future of his country.